WASHINGTON (AP) — The Obama administration said Friday it will allow some companies to kill or injure bald and golden eagles for up to 30 years without penalty, an effort to spur development and investment in green energy while balancing its environmental consequences. An investigation by The Associated Press earlier this year documented the illegal killing of eagles around wind farms, the Obama administration's reluctance to prosecute such cases and its willingness to help keep the scope of the eagle deaths secret. The White House has championed wind power, a pollution-free energy intended to ease global warming, as a cornerstone of President Barack Obama's energy plan. In other areas, too, such as the government's support for corn-based ethanol to reduce U.S. dependence on gasoline, the White House has allowed the green industry to do not-so-green things. Another AP investigation recently showed that ethanol has proven far more damaging to the environment than politicians promised and much worse than the government admits today. 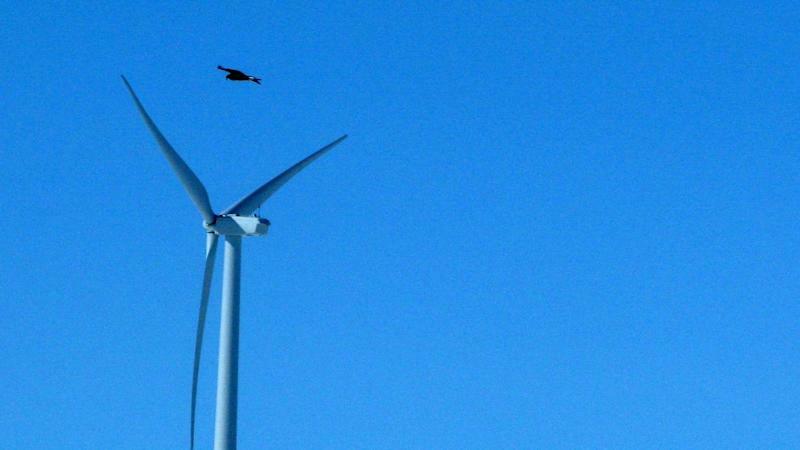 "This is not a program to kill eagles," said John Anderson, the director of siting policy at the American Wind Energy Association. "This permit program is about conservation." Wind farms are clusters of turbines as tall as 30-story buildings, with spinning rotors as wide as a passenger jet's wingspan. Though the blades appear to move slowly, they can reach speeds of up to 170 mph at the tips, creating tornado-like vortexes. Flying eagles behave like drivers texting on their cellphones; they don't look up. As they scan below for food, they don't notice the industrial turbine blades until it is too late. It also doesn't necessarily help eagles, since without a permit, companies are not required to take steps to reduce their impact on the birds or report when they kill them. The new rule makes clear that revoking a permit — which could undermine investments and interest in wind power — is a last resort under the administration's energy policy. "We anticipate that implementing additional mitigation measures ... will reduce the likelihood of amendments to, or revocation of, the permit," the rule said. "Instead of balancing the need for conservation and renewable energy, Interior wrote the wind industry a blank check," said Audubon President and CEO David Yarnold in a statement. The group said it will challenge the decision. "The federal government didn't study the impacts of this rule change even though the (law) requires it," said Kelly Fuller, who formerly headed up the wind campaign at the American Bird Conservancy. 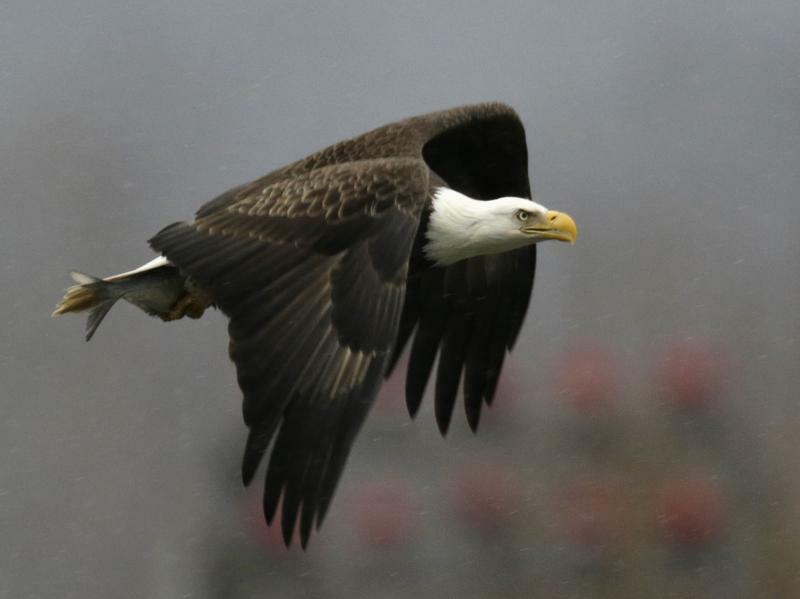 "Instead, the feds have decided to break the law and use eagles as lab rats." "Our goal is to ensure that the wind industry sites and operates projects in ways that best minimize and avoid impacts to eagles and other wildlife," the agency said in a statement. It's unclear what toll, if any, wind energy companies are having on eagle populations locally or regionally. Gunshots, electrocutions and poisonings almost certainly kill more bald and golden eagles than wind farms. But with the industry still growing, the toll could grow, too.